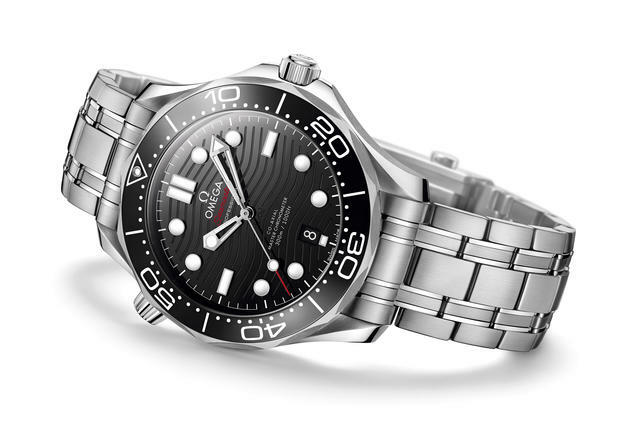 Omega is debuting a variety of captivating watches this spring, including new Seamaster, Speedmaster and Tresor timepieces, as well as the 12th and 13th new Master Chronometer calibers. 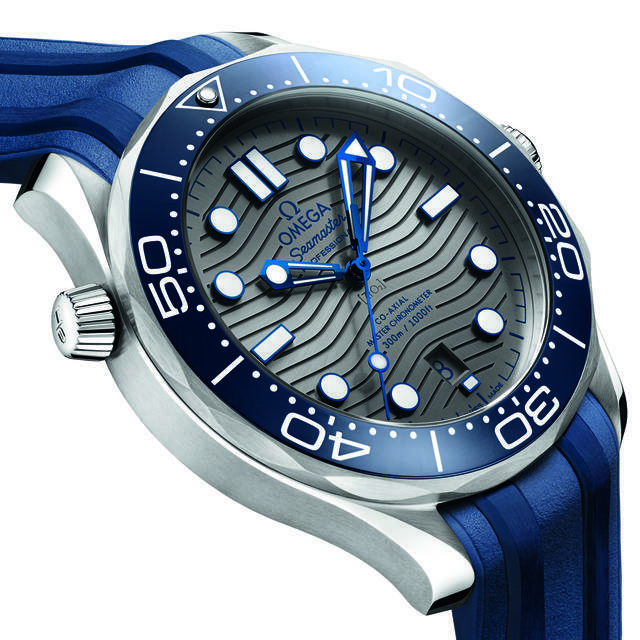 Following is a glimpse of the new Seamaster Professional Diver 300M watches. Stay tuned in coming weeks for more on what’s in store. The Seamaster Professional Diver 300M has been around for, amazingly, 25 years. And in honor of the quarter-century status of the watch that launched the longstanding professional partnership with 007—James Bond—a newly designed collection is making its debut. This “complete facelift,” as it is dubbed by Omega, means a new size (42mm) and a new movement, the METAS-approved Master Chronometer Caliber 8800. The details have been freshened as well. 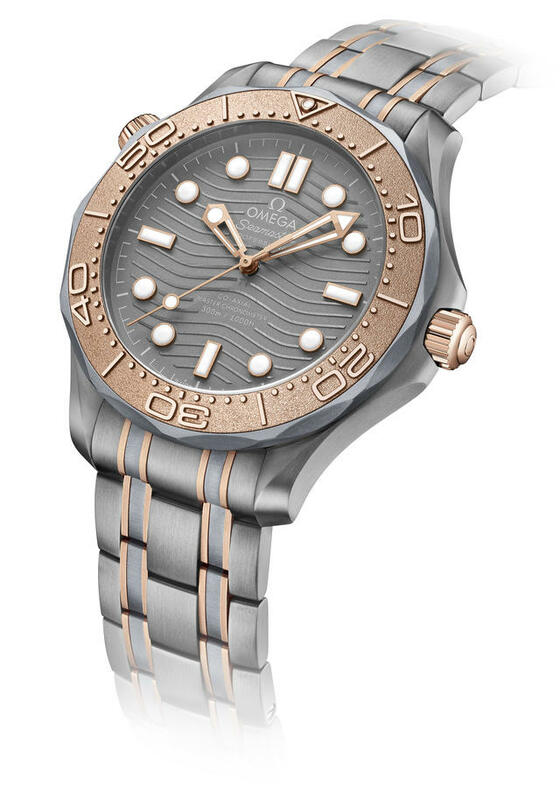 The recognizable diving bezel is now offered in ceramic with the diving scale in Ceragold or in white enamel. The watch dials are made from polished ceramic in black, blue or a PVD chrome color, and for fans of the original wavy pattern, you’ll be pleased to note that it is making a laser-engraved comeback on the dial, echoed on the edge of the sapphire crystal caseback. The indexes are raised and filled with Super-Luminova, and the date window has been relocated to 6 o’clock, while the hands have been subtly reshaped. And speaking of reshaping, the helium escape valve now has a conical shape and has been patented for the technology that allows it to be operated underwater. There are 14 new Seamaster Professional Diver watches in all, including six in stainless steel and eight in a mix of stainless steel and gold. Each is fitted with a traditional metal bracelet or an integrated black or blue rubber strap. 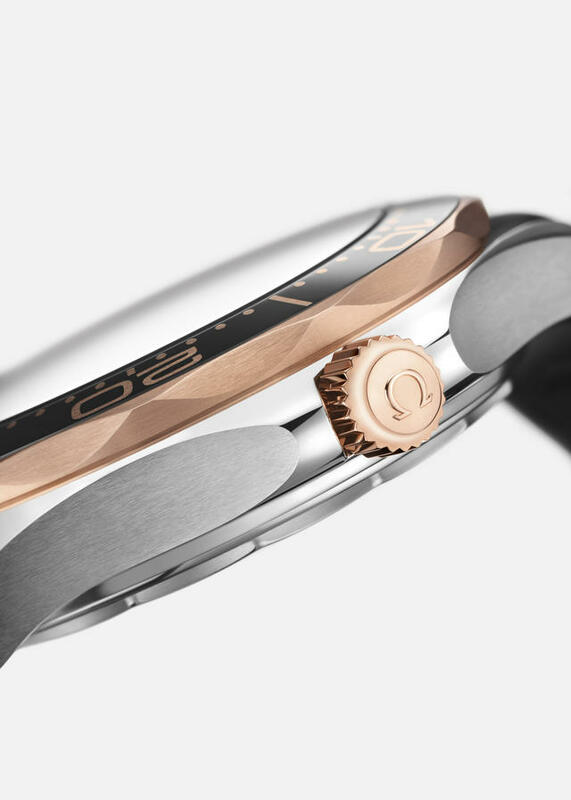 The metal bracelets are closely integrated to the case and have a new ergonomic design, which includes Omegas’s patented extendable foldover rack-and-pusher with a diver extension. 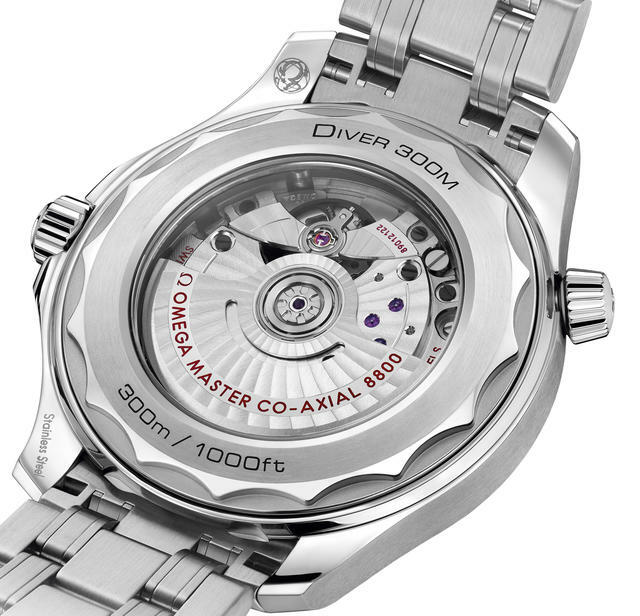 Be sure to also check out the limited edition Seamaster Diver 300M Titanium Tantalum, also in tribute to the Seamaster Diver 300M of 25 years ago, which used tantalum in its construction. Limited to just 2,500 pieces, the collection is sized at 42mm and tantalum has been employed to create the base of the bezel as well as the middle links of the bracelet. This unique metal’s blue-gray coloration offers an interesting contrast to the brushed titanium case and bracelet links. Sedna gold accents the crown, bezel ring, helium escape vale, bracelet and hands. The sapphire crystal caseback reveals the Master Chronometer movement 8806, certified by the Swiss Federal Institute of Metrology (METAS).